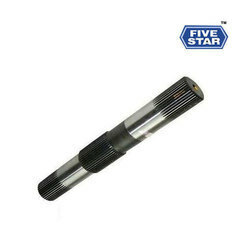 Owing to our rich domain expertise and knowledge, we have been able to offer highly demanded Hydraulic Shaft at an industry leading price. 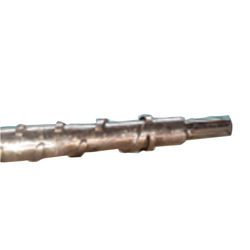 Manufactured in compliance with industry laid norms and parameters, these shafts are demanded in hydraulic industries. We manufacture an inclusive range of high quality or varied industrial and machinery applications. Produced using latest technology, our precision engineered industrial gears deliver superior performance even in most demanding conditions. - Weight Range : 25 kgs. To 60 kgs. Keeping in mind ever-evolving requirements of our respected clients, we are offering a premium quality of Massey Ferguson Hydraulic Lift Clevis. Apart from offering other products, we also provide Hydraulic Lift Shafts to our numerous customers. Obtaining fine-grade raw material and following a widely accepted quality checking policy have made our range of these products highly demandable in our market. We made this range available in a industry leading price. We are one of the leading exporter and supplier of top class quality Draft Actuator Assembly. We are looking for foreign queries majorly form Europe. Our range of hydraulic lift assembly & lift controls are available in compact designs. These are equipped with integrated and manifolded valve circuits. Further, our range find application in HMT tractors. We are offering a wide range of Hydraulic Lift Cover. The entire range is fabricated using high quality raw material, which makes the products highly reliable and durable.we are the leading tractor parts manufacturer and exporter.